Yesterday I outlined my plans for a Morse Twitter display. Tworse (the Twitter Morse Code display) is now running on the Shrimp + Pi as well as on an Arduino + Pi. The Raspberry Pi monitors a twitter stream - in this case, it's looking for tweets with the hashtag #morsetweeter. It converts each tweet to upper case, removes any non-ascii characters, and sends it over a serial link to the Arduino or Shrimp. The Shrimp reads lines using the Serial interface and flashes them in Morse Code. 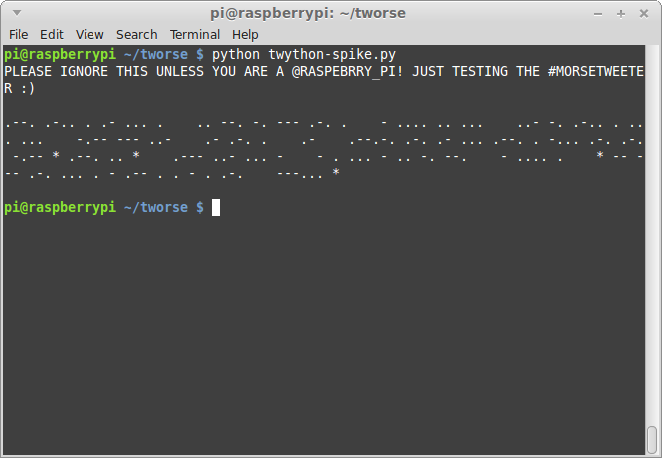 It then sends a text version of the Morse-coded line back to the Pi which displays it on the console. The sketch for the Shrimp and the Python Script for the Pi are now on github. 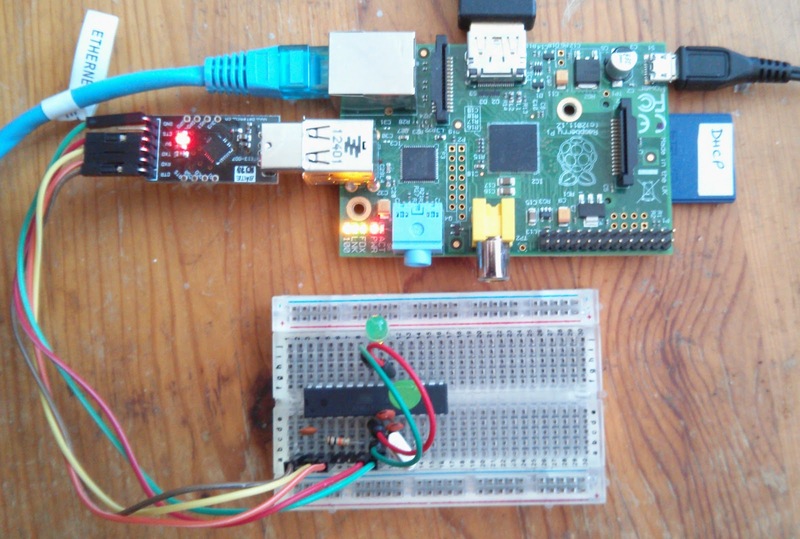 The sketch is a bit long for a blog post, but here is the Python code on the Pi.